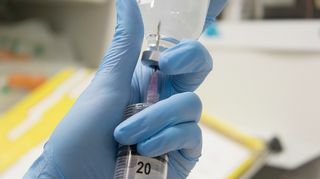 A group of Finnish researchers has scored a world first by identifying a link between the virus component used in the Pandemrix swine flu vaccine and narcolepsy, a neurological disorder which some recipients of the vaccine developed later on. 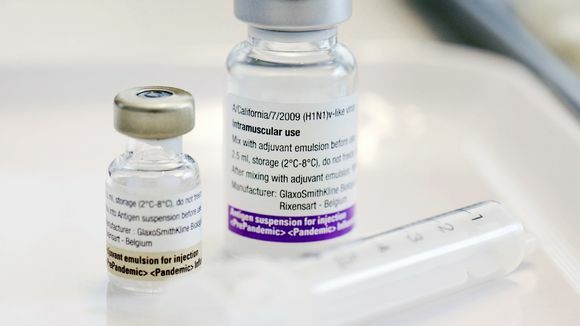 The team found that Pandemrix was prepared differently from other vaccines and that the virus component in the drug was also different. According to the University of Helsinki, the team of Finnish researchers has determined the reason why the Pandemrix vaccine increased the risk of developing narcolepsy. The research team was led by Professor Outi Vaarala and the results were published in the San Francisco-based scientific journal Plos One. According to the publication, the researchers found that among other things the Pandemrix drug – which has been linked to cases of narcolepsy developed following vaccination – had higher levels of structurally altered viral nucleoprotein than in Arepanrix. Both were drugs approved for immunisation against the H1N1 influenza. “The vaccine virus itself has components of the virus. It is also supposed to contain viral protein. There’s nothing extraordinary about that,” Vaarala told Yle. “However what is more significant is that given that there were two pandemic vaccines against swine flu – one was Arepanrix, which was used in Canada, and the other was Pandemrix, which was used in Europe – Pandemrix caused narcolepsy. The difference was that Pandemrix had one viral protein in a different form and there was more of it,” she explained. Professor Vaarala said that the difference was due to a disparity in how the two vaccines were prepared. She pointed out that Arepanrix did not cause the same narcolepsy cases that Pandemrix did. “It’s precisely for this reason that the findings are so interesting. We are the first in the world to report that these two vaccines differ with respect to the viral components and are therefore not the same,” the professor declared. Research "the first concrete breakthrough"
Vaarala noted that Pandemrix was taken out of use in August 2010 when it emerged that it was linked to cases of narcolepsy. She said that the next stage following the recent research would be to trace the viral protein in the vaccine and its similarities with the neurological structure of the brain. “In a way this is the first concrete breakthrough on this matter. We can identify that there is something different in the Pandemrix vaccine compared to others, because only Pandemrix caused narcolepsy,” she declared. More than 150 people in Finland, mostly young, have been diagnosed with narcolepsy, a neurological disorder that inhibits the brain's ability to regulate sleep-wake cycles. Persons with narcolepsy typically experience excessive daytime sleepiness. Earlier this year persons who developed narcolepsy after receiving the Pandemrix vaccine between 2009 and 2010, have received over 10,000 euros each in compensation, and it is estimated that a total of approximately 100 million euros will be required for further compensation during their lifetimes. The Finnish Pharmaceutical Insurance Pool has already paid out 30 million euros, while the Finnish government is likely to contribute 70 million. This item was edited on January 23, 2015 to clarify that the compensation per person received to date is slightly more than 10,000 euros, in line with information from the Pandemrix Narcolepsy European Alliance.